Happy Pi Day! Do you remember Pi from math class? Otherwise known as 3.14, it’s the numerical number to represent the ratio of a circle’s circumference to its diameter. Is your mind blown yet? For those not a fan of math, it can be a fun day to celebrate with pies or pizza pies. Yep the puns are all there! 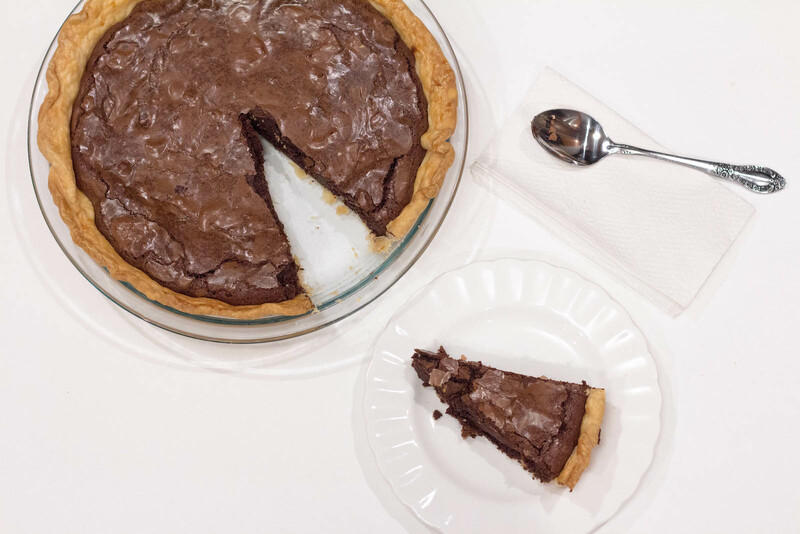 Today I share with you a fudge brownie pie. 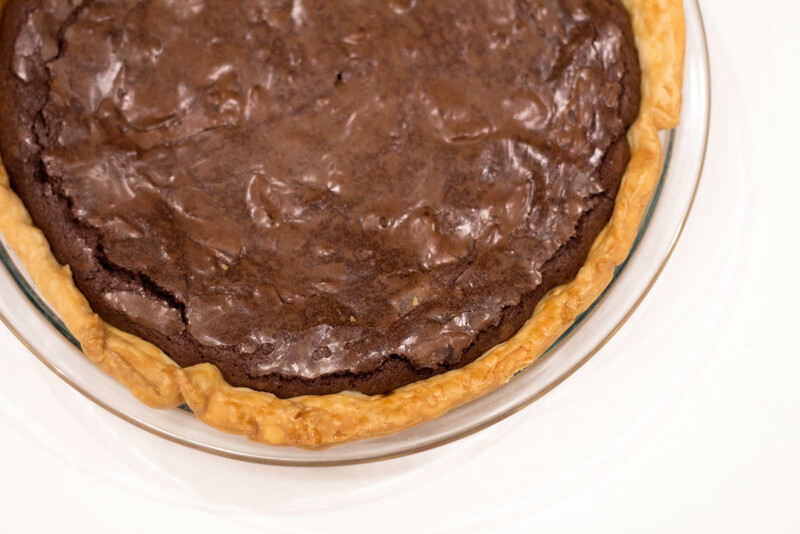 It combines one of my favorite sweets, brownies, with a pie crust. As soon as I came across this recipe, I immediately had to bookmark it so I could bake it up. The brownie part has that wonderful fudgy texture that I love. Although I used a premade store bought pie crust, you can certainly make your own (the recipe linked has one you can follow). And while the crust did look nice, I’ve come with the conclusion that I will make pie crusts from scratch from now on. This is quite the dessert so I hope you will have a slice. 1. Preheat oven to 350 degrees and place rack on lowest shelf in oven. 2. Melt butter in microwaveable bowl. 3. Add sugar and vanilla, whisk until mixed well. 4. Whisk in two beaten eggs to butter mixture. 5. Add cocoa powder, chopped chocolate and flour bowl. Fold in until wet and dry ingredients are incorporated. Do not over mix! 6. Scrape brownie filling into prepared unbaked pie shell. 7. Bake for 35-40 minutes. Let cool for at least one hour before serving.